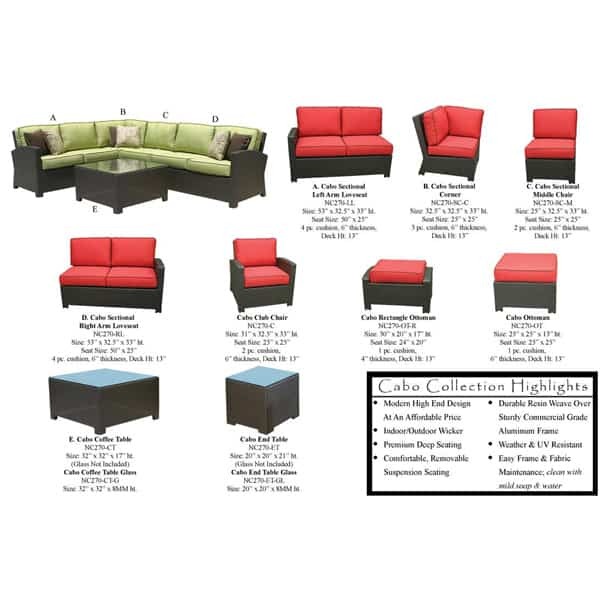 If you are looking for an all weather wicker sectional with top quality materials and a modern design, look no further. The engineers at NCI take pride in their manufacturing techniques and use only the best materials. 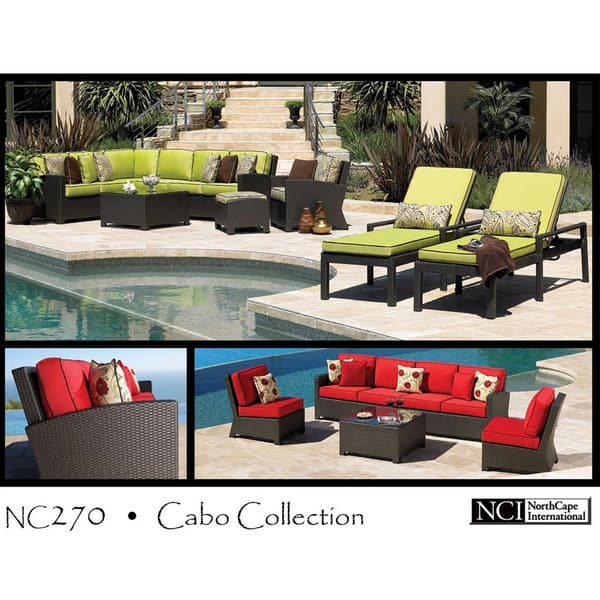 The vinyl wicker is tightly woven over an aluminum frame giving it an upscale design that will not rust or fade. 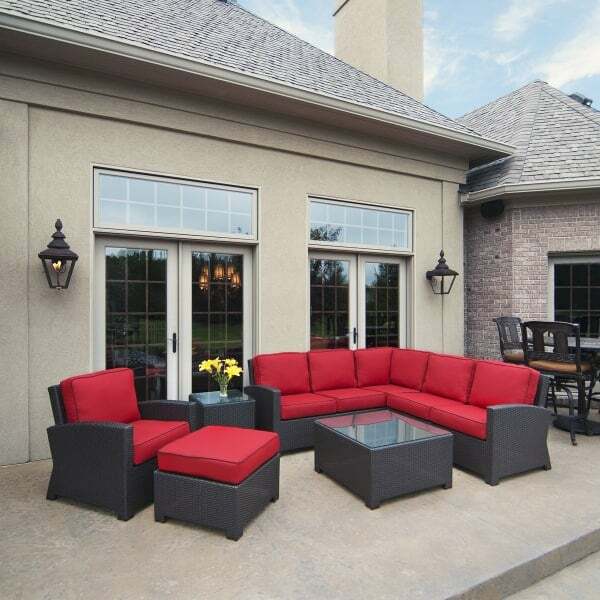 The cushions on this outdoor sectional offer three different colors with welting (pick in drop down menu) and are made with all weather materials including solution dyed acrylic fabric from Sunbrella. The unique design of this furniture features the right and left sides as loveseats versus the traditional single arm design. Choose from any of our standard configurations or create a look of your own. When you sit in this ultra comfortable wicker sectional, you will see what all of the fuss is about. 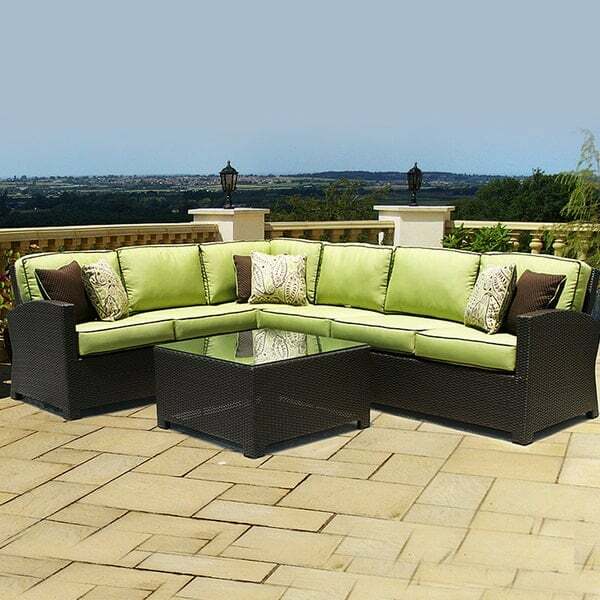 Don't you deserve the best that outdoor furniture has to offer? Note About Cushions & Delivery: The Flagship Ruby option (pictured in main image) will ship the next day, while the Spectrum Mushroom, Indigo and Taupe cushion options will ship within two weeks of order placement. Call for details. L Shape Dimensions as Shown: Left Side Facing - W85" x Right Side Facing - W113"
W 53" x D 32.5" x H 33"
W 32.5" x D 32.5" x H 33"
W 25" x D 32.5" x H 33"
W 31" x D 32.5" x H 33"
W 32" x D 32" x H 17"
W 20" x D 20" x H 21"